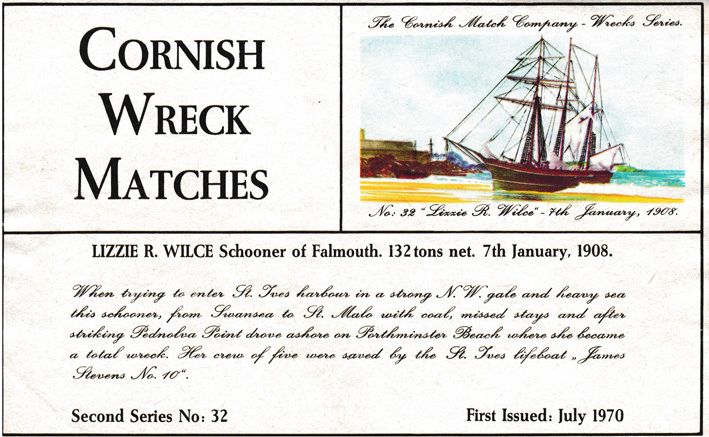 When trying to enter St Ives harbour in a strong N W gale and heavy sea this schooner from Swansea to St Malo with coal, missed stays and after striking Pendolva Point drove ashore on Porthminster Beach on 7th January 1908 where she became a total wreck. 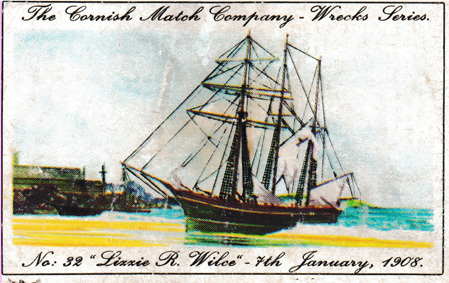 This illustration was part of the Second Series and appeared in Issue 4. These are all the known labels showing this illustration.